1. 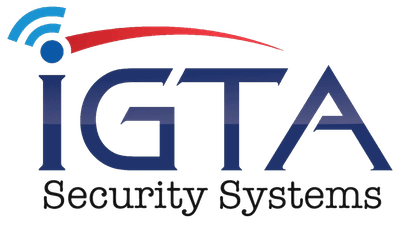 Why Should I choose iGTA Security Systems? iGTA Security Systems Providing a complete range of security and accessibility for the industry sector and is a trusted name for more then 10 years. iGTA has been providing integrated security solutions and services all over Ontario. When you choose to work with us you’re not Going to need to hire other company, we have a wide range of certified technicians pretty much in every field that can help you to finish your job faster and more efficient. CCTV installation, monitoring, maintenance and retrieval. 2. Why do I need to install a Security System in my house/business? The first and the most important reason to install security cameras is to protect your home or business from burglary, theft, break-ins and invasions. Therefore, you need to put more and higher quality security cameras around what needs protecting, and let all know that what belongs to you is 24/7 well protected. That is, you need to put security cameras outside your house, especially in the most obvious areas where people can easily see the surveillance cameras, like in the front door, the back door, etc. We can provide you the opportunity to control your cameras remotely and have the access on your mobile phones or computers. You can see live streaming or footage on your smart phone wherever you are and whenever it is. This will help you stay connected and informed with your home or business. Therefore, both outdoor security cameras and indoor security cameras are needed. 3. How do security camera systems works? There are two types of security cameras systems, Analog and IP (sometimes referred to as network cameras). Here is a very basic explanation of how they work and what the major difference is between analog surveillance systems an IP camera system. Analog Cameras; Most security cameras on the market today are standard analog security cameras connected directly to a digital video recorder. The cameras are this type of system consist of a lens, DSP chip (digital signal processing chip) and a housing. The cameras are simply the window used by the DVR (digital video recorder) to see. The cameras are connected to the DVR using transmission cables. In the end, this type of surveillance system is usually less expensive because the cameras are simply cameras and there is only one unit that does all the grunt work, the DVR. IP Cameras; IP or network security camera systems are very different from analog systems because each camera does the job of the DVR. essentially, an IP camera is a standard security camera that can also compress video, convert the video to digital format and stream it over Ethernet. So each camera is essentially its own DVR. Some IP cameras also have SD card slots so that they can store video directly onto an SD card. IP cameras are sometimes connected to an NVR (network video recorder) instead of a DVR. Since the video is compressed and converted to digital at the camera, the camera can stream the video over a network to a PC or NVR that will record the compressed video. At this time, only about 10% of surveillance systems are IP systems. At some point, when technology catches up with itself and is able to solve the bandwidth, storage and cost issues, IP camera systems will begin to take more of the CCTV market share. 4.Do I Need an internet connection for security camera? First, it’s important to remember that Internet is not always a requirement. High speed Internet will only be a requirement if you choose to have Broadband monitoring or wireless IP cameras. So, as it pertains to your home security system it is not always necessary to have a high speed Internet connection at your home. 5. Are wireless security cameras better than wired? Network signal is one of the most important parts of both wired and wireless security camera systems. Since wired security cameras have wires directly connected to your network, you don’t need to worry about Internet loss or interference. 6. How long does a surveillance camera record? The amount of recording time the DVR can save is based on a few variables. They are the Hard Drive Size, Record Mode, Record Quality, Frame Rate, and Record Size. Hard Drive Size: When it comes to the hard drive the bigger the drive the greater the storage capacity. Typical size for a basic drive should start at 500 gigabytes and can be as much as 2 terabytes. Depending on the DVR it can hold multiple drives for a stacked effect. We can provide DVR’s that can hold as many as 12 terabytes, that is a whole bunch of storage. Record Mode: The mode you record in makes a big difference for the average user. The two most common options are 24 hour and motion only. 24 hours is exactly how it sounds. It never stops recording, which means it never stops filling hard drive space. Motion recording is great for locations with “downtime”. Businesses that operate from 9-5 will save a large amount of space during non business hours when there is nothing setting off the motion alarms triggers. No motion equals no recording, which equals more record time. Record Quality: When you lower the quality of the recording you are storing less data, Less data equals less storage and more record time. Frame Rate (FPS): Basically, more frames equal more pictures and more pictures equals more data, which equals less record time. Record Size: The larger the frame, the more data, which equals less record time. 7. Can I connect CCTV camera direct to TV? Yes, The CCTV camera video out and power in connected to a pre-made Siamese coax cable. Siamese cable is used in CCTV applications to run both video and power to / from cameras. Because both video ends of the cable have male BNC connectors, the TV side must be converted to an RCA male connector so that it can plug into the female RCA input on the TV. The 3.1mm power plug connects right to the DC power supply that is included with the camera and the power supply plugs into a standard 110 power outlet. I used this company to install a security cameras system in my house. I was surprised how fast and efficient they did the job.The price was right, good quality cameras and the technicians were very professional and respectful to my property.